SCP-3477: Will the Real Harold Holt Please Stand Up? View more of my articles here. Due to similarities to SCP-3477, a direct link between the two phenomena is under investigation. Star transition to the same room. Harold Holt is now sitting in the chair. Biological Grafts allow it to be identified as SCP-3477-1. Bar reads "Harold Holt - Prime Minister of Australia". The copies are currently being held in standard humanoid containment cells at Site-72, due to the site's experience with containing clones. At time of writing, one hundred and nineteen narratives of SCP-1041's life, supported by reliable documentation and witness testimony, have been compiled; thirty-five further narratives most likely exist, but currently lack reliable documentation. SCP-2404-1 refers to itself as "Enki", and claims to be the Sumerian deity of the same name. SCP-2404-2 also refers to itself as "Enki", and claims to be an extraterrestrial being that visited prehistoric Sumer approximately 8000 years ago. SCP-2736 consists of two biologically-identical adult males, SCP-2736-1 and SCP-2736-2; as far as can be ascertained, both are former U.S. President Richard M. Nixon. Special Containment Procedures: Each instance of SCP-3477 is to be contained in a separate Standard Humanoid Anomaly Containment Cell modified appropriately for each instance located at Site-72. Instances may be informed of the existence of other instances, but are not to be allowed contact with each other. Each specific instance of SCP-3477 has specialized containment procedures relating to its specific properties. For full containment details, consult Document-3477 #1. Description: SCP-3477 is a collection of anomalous humanoids, each claiming to be the 17th Prime Minister of Australia Harold Holt (henceforth referred to as SCP-3477-0). SCP-3477-0 disappeared while swimming in December 1967 and is officially presumed dead. There are currently 34 instances of SCP-3477 contained by the Foundation. While each instance of SCP-3477 displays unique anomalous properties, all physically resemble SCP-3477-0 and are genetically identical. All individuals claim to be SCP-3477-0 and, through varying methods, to have gained some form of immortality before their alleged death, which they faked in order to avoid public suspicion. No instance of SCP-3477 has been aware of the existence of other SCP-3477 instances unless introduced to each other by Foundation operatives. The majority of SCP-3477 instances can have their backgrounds corroborated by other individuals.2 Despite contradicting each other on numerous instances, the stories given by each instance of SCP-3477 appear to be true and accurate. It is currently unknown if SCP-3477-0 is a current instance of SCP-3477 contained by the Foundation. There is no way to determine if an instance is SCP-3477-0, if any instance of SCP-3477 is genuinely SCP-3477-0, or if there is only one instance that is SCP-3477-0. SCP-3477-1 SCP-3477-1 has been subjected to numerous biological grafts, giving it sharklike skin, the ability to breathe underwater, reduced aging, and multiple sets of teeth. SCP-3477-1 was the first instance of SCP-3477 discovered in 1970, and was initially believed to be SCP-3477-0. SCP-3477-1 was discovered on the shore of Queensland, Australia, where SCP-3477-0 went missing. SCP-3477-1 claims to have been modified by "The Great Barrier Reef Empire-In-Exile", a group composed of intelligent dolphins living off the shore of Queensland. SCP-3477-1 claims to have pledged to help the GBREIE reclaim the Great Barrier Reef in exchange for its modifications. SCP-3477-2 SCP-3477-2 is an instance of SCP-742-1, and claims to have been infected during 1967. The SCP-742-1 instance that infected SCP-3477-2 died shortly after infecting SCP-3477-2. SCP-3477-2 was originally captured during an operation during 1971 to quarantine an outbreak of SCP-742 in Canberra, Australia and was noted to strongly resemble SCP-3477-0. It was then discovered that SCP-3477-1 was already in containment, and the designation for SCP-3477 was expanded. SCP-3477-3 [DATA EXPUNGED] SCP-3477-3 served as O5-7, having been recruited by the Foundation under the belief that it was SCP-3477-0. When SCP-3477-1 was discovered, it was believed that it was merely a mimic of SCP-3477-0, but as more SCP-3477 instances were contained, the O5 Council voted (12-1) to classify SCP-3477-3 as an instance. SCP-3477-8 SCP-3477-8 is an animate human skeleton that is genetically identical to other SCP-3477 instances. The joints of SCP-3477-8 are held together by an unidentified black substance, which cannot be removed or broken down for testing. SCP-3477-8 lacks vocal cords and communicates via sign language. SCP-3477-8 has conveyed to researchers that it contacted a thaumaturgist specializing in undeath to become transformed into its current state. SCP-3477-11 SCP-3477-11 appears to be biologically immortal, and shows no signs of medical aging. It claims to have gained its anomalous properties through "forbidden molasses-based alchemy." SCP-3477-11 has never learned about or interacted with William Henry Seward. SCP-3477-14 SCP-3477-14 has numerous mutations, including the replacement of the left forearm with four tentacles and relocation of the left forearm to the right arm. SCP-3477-14 has been implanted with an SK-BIO Type Z. SCP-3477-14 is genetically human, despite obvious morphological differences and the inability of baseline humans to support such changes. SCP-3477-14 was a võlutaar in GoI-0537 (The Sinew Brotherhood), the most active Sarkic group in Australia. See Additional Notes for SCP-3477-13. SCP-3477-19 SCP-3477-19 is a noncorporeal humanoid entity physically resembling SCP-3477-0. SCP-3477-19 was able to direct Foundation agents to the grave of a corpse (referred to as SCP-3477-19-1) genetically identical to other SCP-3477 instances, claiming said body formerly belonged to it before its transformation. SCP-3477-19 claims to have determined how to transcend physical form by researching esoteric religious texts, and completed the transformation after forsaking all possessions. However, the process necessary to transcend physical form required the ritualistic suicide of SCP-3477-19, producing SCP-3477-19-1. SCP-3477-23 SCP-3477-23 is a humanoid animatronic resembling SCP-3477-0, and claims to have transferred its conscious from its original organic body into the animatronic with the assistance of Marshall, Carter and Dark. SCP-3477-23 was recovered during a raid on an MC&D facility, where it was working in order to pay off its contract.5 According to documentation recovered on site, SCP-3477-23 was inspired by SCP-2776. SCP-3477-25 SCP-3477-25 has had numerous body parts removed and replaced with arboreal replicas, including a right leg constructed out of eucalyptus wood and hair consisting of assorted grass species native to Australia. SCP-3477-25 is able to sustain itself upon photosynthesis. SCP-3477-25 has been branded with numerous glyphs of Daevic origin. SCP-3477-25 claims to have discovered information on Daevic culture and determined how to replicate their herbomancy. SCP-3477-30 SCP-3477-30 has regenerative properties, which allow it to regenerate any body part. While SCP-3477-30 ages, its regenerated bodyparts are biologically 59.6 To prevent itself from aging, SCP-3477-30 periodically removes bodyparts and regenerates them. SCP-3477-30 was handed over to Foundation operatives during a collaboration deal with the Global Occult Coalition, which had apprehended it as NTE-1997-Red. The GOC had refrained from terminating SCP-3477-30 under the belief that it was SCP-3477-0. SCP-3477-34 SCP-3477-34 is perpetually on fire. While it does not appear to be harmed by the fire, its body has become charred and burnt after several decades of burning. SCP-3477-34 remains burning despite the lack of any fuel source. SCP-3477-34 claims that it will remain alive as long as it remains on fire, and that extinguishing the fire would kill it. As such, testing involving extinguishing the fire of SCP-3477-34 (such as removing oxygen or submerging SCP-3477-34 into water) have been indefinitely postponed. For a full list of SCP-3477 instances, see Document-3477 #2. The following interview has been conducted nearly identically for each instance of SCP-3477, as each responds almost identically for each question. While there are minor differences between each instance, the vast majority of each interview is the same. Each instance responds to each question with almost identical wording, with most differences being the addition of more modern colloquialisms. Dr. Thatcher: Hello. Please clearly state your name for the purposes of the interview. SCP-3477-34: I am Harold Holt, former Australian Prime Minister. Dr. Thatcher: Thank you. Please describe your anomalies. SCP-3477-34: Oh, you mean my immortality? Why, of course. I set myself on fire, channeling my life force into the fire. The fire is an eternal flame, and its fuel is the very essence of fire. As long as this fire burns, I will continue to live. Dr. Thatcher: And what drove you to seek this form of immortality? SCP-3477-34: Well, I had always wanted to live forever, you see. Ever since I was a child. But I knew that could never be the case. Then, I get elected Prime Minister and then your Foundation, the Manna Charitable Foundation, the Global Occult Coalition, the Horizon Initiative, they're all calling me, trying to get my ear.7 All of a sudden, I realize that my dreams are within reach. Dr. Thatcher: Could you elaborate more on your fear of death? SCP-3477-34: Of course. I've been afraid of dying since I was just a boy. Complete terror at the thought of ever not being alive. And I resolved when I was a boy that I would stop that, that I wouldn't let myself ever die. But to the normal man, that can't happen. Nobody lives forever, and there's nothing you can do to stop death. But then I found out that magic was real. I had built a life in politics, but that wasn't important anymore. Immortality was my only goal. Dr. Thatcher: But why did you choose setting yourself on fire? SCP-3477-34: Well, I had some top men look for ways to get me immortality. They came back with a couple of methods, but I chose self-immolation because I thought that it was one of the safest: there will always be fire, and as long as there is fire, I will continue to burn. Dr. Thatcher: Do you remember what some of these other methods were? SCP-3477-34: No, not really. I think there were vampires, some religious cults, a few other things. Dr. Thatcher: And these didn't interest you? SCP-3477-34: I suppose in another life, I could have gone for one. But I chose fire. You know, I was wondering when the Foundation would get ahold of me. Dr. Thatcher: What do you mean? SCP-3477-34: Well, I didn't do the best job keeping myself secret. I got pretty careless a couple times. Also, I've been on fire for the past fifty years. Dr. Thatcher: Mr. Holt, the Foundation happens to have several other individuals claiming to be Harold Holt in containment. SCP-3477-34: Is that so? How many? Dr. Thatcher: You are the thirty-fourth Harold Holt we have contained. SCP-3477-34: So you don't believe I'm the real Harold Holt, do you? Dr. Thatcher: Unfortunately, we cannot verify any Harold Holt as real. SCP-3477-34: That doesn't put me in a good situation, does it? Dr. Thatcher: You will receive standard humanoid containment measures. Thank you for your time, Mr. Holt. You've answered all our standard questions for Harold Holts with standard answers. On 09/08/2017, all thirty-four instances of SCP-3477 were introduced to one another, in an attempt to determine the veracity of their identities. Each SCP-3477 instance was seated at a large circular table and physically isolated from other instances, allowing each instance to see all other instances without being allowed to physically come into contact with one another. All instances except -3, -13 and -14: Oh! I had been told there were others, but I didn't quite believe it until now. Stranger things have happened, I suppose. SCP-3477-13 and SCP-3477-14: Ah, we meet again! I suppose we are the only two to have met each other before! All instances: I suppose we all think alike, and therefore all react the same. All instances: Well, you know what they say about great minds! All instances: I think we should introduce ourselves, in numerical order. SCP-3477-1: I'll begin. I, Harold Holt, had dolphins graft shark parts onto me to make me age like a shark, so I could live forever. SCP-3477-2: I, Harold Holt, allowed myself to become infected by a vampire and then had my biter killed, so I could live forever. SCP-3477-3: I, Harold Holt, [DATA EXPUNGED], so I could live forever. Researcher's Note: All instances began by saying "I, Harold Holt," and ended with "so I could live forever." SCP-3477-34: I, Harold Holt, set myself on fire, so I could live forever. All instances: Well, it was nice to meet all of you! All instances: Now, I question why the Foundation would have put us together in one location. All instances: Perhaps they are trying to see if us interacting will prove or disprove our claims of being the true Harold Holt? All instances: In that case, let's all tell a story the real Harold Holt would know. 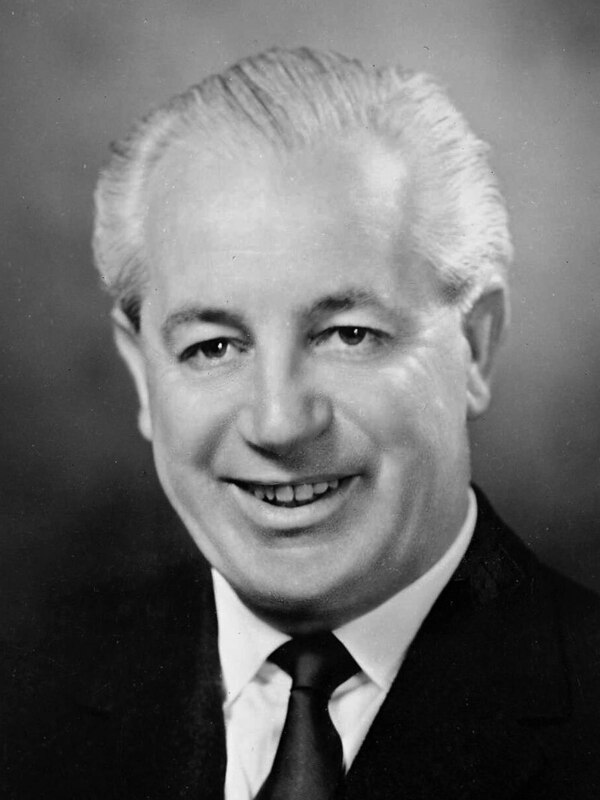 My name is Harold Holt and I was born in Stanmore, New South Wales on August 5th, 1908. Researcher's Note: All instances gave the same information in unison until describing how they became immortal. All instances: Well, I personally think that confirms that we all have the same backstory. At this moment, all instances were told to exit the conference chamber. All instances: Well, I did enjoy this. Gentlemen, we must get together sometime again soon. I've been reviewing the details of SCP-3477's recent escape. Other than cryptically saying they had to meet again sometime soon, they didn't discuss any escape attempts, but I've been reviewing the security footage and witness testimony from the security breach. The Harold Holts demonstrated calculated teamwork, and obviously had a shared plan. Either they were somehow able to remain in contact with one another after the group interview, or they all managed to independently establish the same exact escape plan. Now, unlikely as it sounds, I think it may be the second: the Group Testing demonstrated that they all clearly think exactly the same. However, I have noticed a more troubling concern. The Extraordinary Special Containment Procedures (which cover recontainment procedures in the event of a containment breach) for SCP-3477 have not been updated over twenty years. Since that last update, we've contained eleven more instances, each with their own unique properties. It appears that due to the cooperative nature of Harold Holt, it was deemed unlikely that he would try to escape. As a result, it appears that our guard was let down somewhere along the line. This means that we now have a dozen anomalous entities on the loose that we completely lack recontainment protocol for. I don't care about punishment or reprimands: my men need accurate information on how to best recontain every instance of SCP-3477 immediately before I will send them into the field to capture them. I don't care that this is giving the Harolds a head start: I will not endanger my men to find them. 1. SCP-3477 instances are universally successful at acquiring immortality through their chosen method. 2. For example, each instance of SCP-3477 claims to have contacted individuals related to their chosen method of gaining immortality on November 20th, 1967 at their personal house. The majority of individuals that they have claimed to met with have been found and confirmed the stories of their respective SCP-3477 instances. For example, SCP-3477-23 claims to have met with Ottaviano de' Medici (a Marshall, Carter and Dark salesman) on that day. Ottaviano de' Medici, when later apprehended for unrelated reasons, confirmed this. SCP-3477-13 claims to have met with Brother Cassius of the Cogwork Orthodox Church on that day. Brother Cassius confirmed this story while negotiating a noninterference pact with the Foundation. Both claim to have met with SCP-3477-0 at his personal residence, and seen no other suspicious individuals there. 3. In a specific test, each instance of SCP-3477 was given a short logic puzzle, with each instance being given the puzzle on a different day. Each instance solved the puzzle in the exact same period of time. 4. Other members of their respective GoIs were attempting to kill each other. 5. According to the terms of the contract, SCP-3477-23 had ███ more years to work with MC&D. 6. The age at which SCP-3477-30 claims to have acquired its regenerative properties. 7. As the head of state for a national government, SCP-3477-0 was informed of the existence and operation of the Foundation during its time in office. Other GoIs are believed to have had similar disclosure policies.